Meet Dex, Liz, & Don. 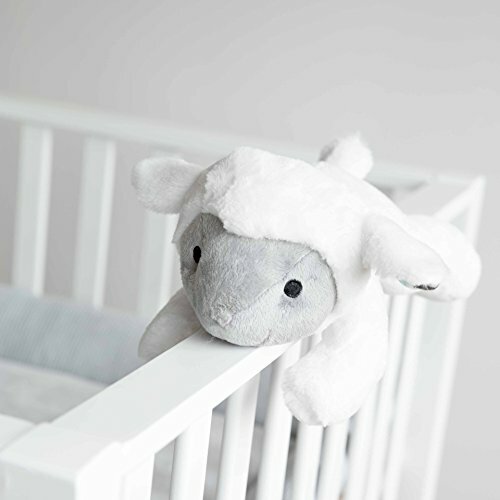 Dex the Dog, Liz the Lamb and Don the Donkey are award winning soft toy comforters that calm and soothe your newborn baby through its soft touch, and sound (voice) or motion activated sound module. These adorable plush pets are wonderful companions for babies to cuddle with, fall asleep with, and for calming restless moments. These plush pets include a removable sound module that allows you to select from 3 different melodies or the soothing sounds of a heartbeat, white noise or nature.This sound module is voice and touch activated, and will go on either by the sound of the baby crying or by motion when the baby moves or shakes it. It allows you to adjust the volume to your preferred level and includes an auto shut off feature that will turn the sound off after 10 minutes. The plush is made from soft and machine washable fabric and is 13x7x7 inches. The sound module is easily removable and requires 3 AAA batteries. Product Type: Sleep Soother and Noise Machine. Multiple Sound Options - Choose from 3 melodies or the soothing sounds of a heartbeat, white noise or nature. Timer with auto shut-off - After 10 minutes the sound will automatically switch off. Adjustable Volume - Set the volume to your preferred level. Sound Activated and Motion Activated - No need to switch ON the music, just shake and the music box will start playing the last chosen song and The voice activated sound sensor will switch on the sound automatically if your baby starts crying. Easily Washable - Just remove sound module and machine-wash. If you have any questions about this product by Zazu Kids, contact us by completing and submitting the form below. If you are looking for a specif part number, please include it with your message. Baby GUND Winky Lamb Moon Stuffed Animal Plush Pullstring Musical Toy, White, 9"